The Office of Undergraduate Research (OUR) will provide up to $500 to undergraduate students engaged in research or creative projects to cover expenses associated with those projects (e.g., supplies and/or consumables in the laboratory or studio, printing and copying, software). This award is intended to support expenses that are specific to a student’s project and consumed through use in the student’s project. Learn more about permissible expenses under this award program. Students may not receive funds for living expenses during the academic year or for charges incurred for the UConn courses in which they are enrolled. OUR policy prohibits funding supply costs related to course projects for courses that are required elements in the curriculum for the student’s undergraduate degree program (e.g., senior project for BFA students, design lab for Engineering students). However, students pursuing optional research projects that go beyond degree requirements, and who may be enrolled in independent study credits related to those projects, may receive funds to support their project supply costs. Applications are reviewed on a rolling basis and awards are made until funds are exhausted. In other words, apply early! Supply awards will not normally be made in support of summer projects, but applications related to summer work will be considered if funding remains after the application deadline. Please note that funding for this program, which is intended to support students across the university, is limited. Multiple students applying for support for the same project or related projects may receive smaller awards. Students who have previously received support from OUR for their projects may receive smaller awards or lower priority for funding. Students who receive an OUR Supply Award are required to present their work at a Frontiers in Undergraduate Research Poster Exhibition during the academic year in which they received their OUR Award. Funding rates for Supply Awards vary; we will take financial need into account when making these awards. Note: Part-time undergraduate students enrolled at any campus of the University of Connecticut may apply for these awards if they have completed at least 60 academic credits (including at least 12 credits at UConn) and have a minimum UConn cumulative GPA of 2.8 or better. Must have a minimum cumulative 2.8 GPA. Must have their faculty advisor on the project submit a Supply Award Faculty Recommendation Form. May receive no more than one OUR Supply Award during any given academic year. The project may not be for a course that is a required element in the curriculum for the student’s undergraduate degree program (e.g., senior project for BFA students, design lab for Engineering students). However, students pursuing optional research projects that go beyond degree requirements, and who may be enrolled in independent study credits related to those projects, may receive funds to support their project supply costs. Honors thesis projects are eligible under this criterion because earning Honors is optional and requires students to go beyond the requirements for a non-Honors bachelor’s degree. The project must be advised by a UConn faculty member. Projects advised by faculty in the Department of Psychological Sciences will have lower priority for funding due to the availability of department-specific funding for undergraduate research projects. Students should consult their faculty advisors or PSYC undergraduate advisor for more information about the PCLB Psychological Sciences Research Grants. If students elect to apply for an OUR Supply Award, they will be expected to indicate the outcome of a PCLB grant application in their OUR application and will not receive a determination on their OUR application until early December (for fall applicants). Students with extenuating circumstances are encouraged to contact OUR to discuss their situation. OUR Supply Award recipients must present at the Frontiers in Undergraduate Research Poster Exhibition in the fall or spring of the academic year in which the award was received. Recipients must submit a Research Experience Completion Form to the Office of Undergraduate Research by the deadline specified in their award letter. The online application for 2018-2019 Supply Awards is now open: apply here. Applications will be reviewed on a rolling basis and will close on March 11, 2019 or when all Supply Award funding has been exhausted. Supply awards will not normally be made in support of summer projects, but applications related to summer work will be considered if funding remains after the March 11, 2019 application deadline. Updated information regarding the availability of funds will be posted here. A complete application consists of the online application and a Supply Award Faculty Recommendation Form submitted by your faculty advisor for the project directly to OUR. Please use the Budget Worksheet to generate an itemized budget for your project; you will be asked to upload this worksheet as part of the online application. We encourage you to share your application – including your project description and budget – with your faculty advisor so s/he can refer to them when completing the recommendation. Please refer to the FAQ section below for detail about allowable and prohibited expenses. It is advisable to review the OUR Supply Award Outline prior to completing the online application. The outline provides you with all the questions you will need to answer and the information you will need to provide in the online application. Faculty advisors are asked to complete the Supply Award Faculty Recommendation Form. Your assessment of the quality of the student’s work to date and the necessity of this funding for the completion of the proposed project are critically important to the review process. Please note that award funds may be disbursed directly to the student or transferred to a ledger 2 account associated with the faculty supervisor or his/her department for use in accordance with the budget submitted by the student. The project description is well written and clearly explains the project. The budget is itemized, appropriate to the project described, and reports the total cost of the project (even if it exceeds the funding requested). The student has secured research compliance approval(s) if necessary for the project. No award will be issued until documentation of approval(s) is received. The advisor is familiar with the student’s project and rates the student’s work to date highly. The student could not accomplish all the goals of the research project without this funding and the advisor recommends funding. Please note that funding for this program, which is intended to support students across the university, is limited. Multiple students applying for support for the same project or related projects may receive smaller awards. Students who have previously received support from OUR for their projects may receive smaller awards or lower priority for funding. How are OUR Research Supply Awards disbursed? I am conducting my project at UConn Health. Am I eligible for this award? Can durable equipment be purchased with this award? Can participant incentives be paid with this award? Can I pay for services with this award? Can I pay for summer research expenses with this award? I have questions about OUR Supply Awards. Is there someone I can speak with? If the supplies will be purchased by the university, funds will be transferred to an account associated with your faculty advisor or his/her department. If you will be personally responsible for the expenses, the funds will be posted to your fee bill. Once posted to your fee bill, you will be able to request a refund from the Bursar’s Office. Yes, you are eligible for this award. No, durable equipment like computers, tablets, and cameras cannot be purchased through this award program. This award is intended to support expenses that are specific to a student’s project and consumed through use in the student’s project. Physical items (e.g., film, reagents) and time using particular equipment or resources (e.g., confocal microscopy time, cloud computing time, a time-delimited software license) are allowable expenses. If you have questions about whether an anticipated expense is allowable under this award program, please contact our@uconn.edu. Yes, participant incentives are an allowable expense provided that the incentives have been reviewed and approved by the IRB. Records must be kept in accordance with the approved IRB protocol. If you have questions about whether an anticipated expense is allowable under this award program, please contact our@uconn.edu. Under limited circumstances, OUR Supply Awards may be used to cover service expenses. These requests require clear justification, including an explanation of why external assistance is required (e.g., translation services are required because the student does not have the requisite skills in the language). All requests must also comply with the University’s Purchasing policies and procedures. If you have questions about whether an anticipated expense is allowable under this award program, please contact our@uconn.edu. 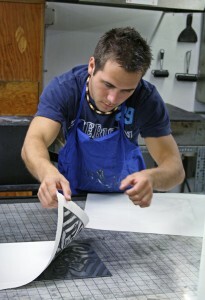 The OUR Supply Awards program is focused on supporting research and creative projects pursued during the academic year. Supply awards will not normally be made in support of summer projects; however, applications related to summer work will be considered if funding remains after the application deadline. A summer supply award cannot be held in conjunction with another summer award from OUR (i.e., UConn Co-op Legacy Fellowship, Health Research Program stipend, UConn IDEA Grant, SURF Award). Updated information about the availability of funds will be posted in the Application Deadline section above. 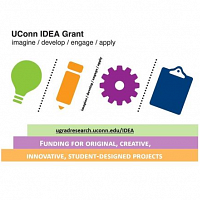 This funding program is generously co-sponsored by the UConn Humanities Institute.